Transformative, terrifying and and a journey to the most unstable shores of consciousness, Turin, Italy’s Nibiru are the sonic equivalent of the sense-overload torture scene in A Clockwork Orange, only meted out to your third eye. Active only since 2012, the recently expanded four-piece have already released three albums and nigh-on four hours’ worth of teeming, and Hindu-derived psychoactive sludge, suggesting not only that Nibiru are thoroughly devotional in their approach, but that their music is a portal to vast realms in constant need of chronicling. If their latest album, Padmalotus, is any more structured than its predecessors, it’s still a plunge into convulsive, otherworldly currents with only occasional moments of propulsive groove and stern riffage to hold onto. Occupying a space between Skullflower’s celestial siege and the blood rite invocations of Dark Buddha Rising, this is music as a visceral rite of passage and deliverance, and Roadbun 2016 is a rare live foray for Nibiru beyond their native borders, and into territories unknown. “Our concerts are rituals,” the band explain, “but they are also a very physical experience. The energy flows from us to the crowd and returns to us. It’s an exchange of energy.” Prepare to pass beyond the event horizon. 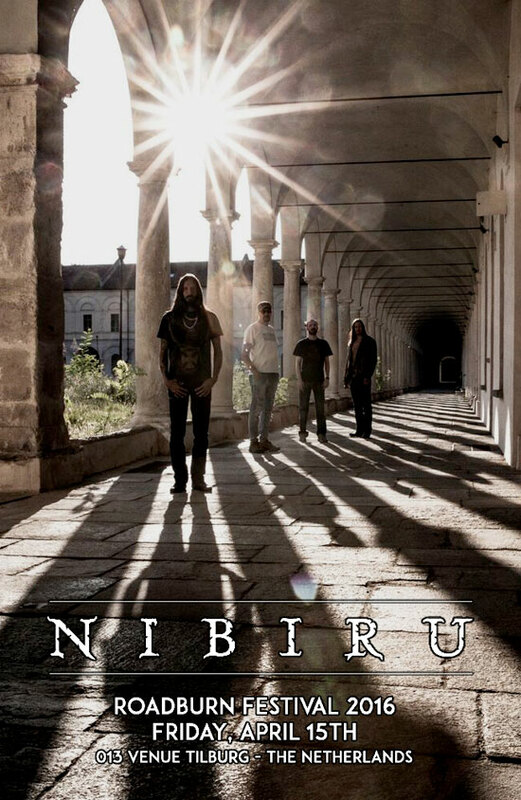 Nibiru will play Roadburn 2016 on Friday, April 15th at the 013 venue.